Челышева И. В. Основные тенденции развития российской медиапедагогики с учётом использования опыта британского медиаобразования: историко-методологические аспекты проблемы // Crede Experto: транспорт, общество, образование, язык. 2014, № 3, http://ce.if-mstuca.ru/wp-content/uploads/2014/10/chelysheva.pdf — Объём 0,9 п. л. *Surname and initials. Title of the publication // Crede Experto: transport, society, education, language. Year, Issue number, http://ce.if-mstuca.ru/xxxxxxxxxxxxxxxxxxxxxxxxxxxxxxxxxx.pdf — Volume 0,9 p. sh. 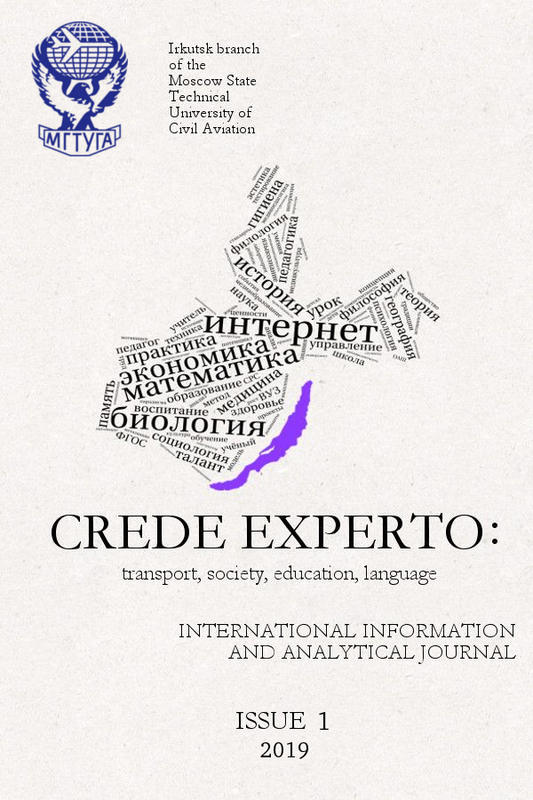 At the request of the author, the Editorial Board can send a certificate about the publication in the international information and analytical journal “Crede Experto: transport, society, education, language”. The Editorial Board invites everybody to become our author. We are happy to welcome you in our team!